Modern Workplace - modernwp.ch | All about "Modern Workplace"
As written in an earlier Article, you can configure the Windows 10 Store to only show your Private Store (Business Store). There is a Windows 10 GPO setting available – “Only display the private store within the Windows Store app” -, which is placed under “Machine\Policies\Administrative Templates\Windows Components\Stores” and is working NOW, at least with Windows 10 1607 (the workaround in the named article is not needed anymore). 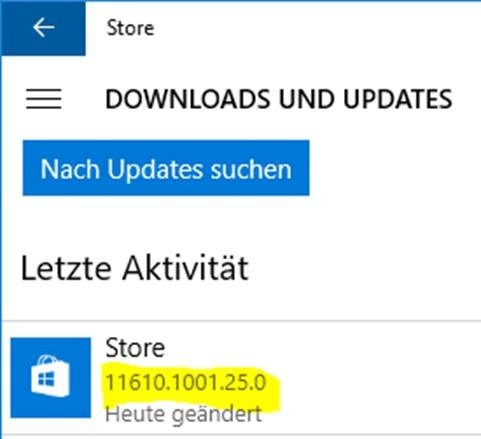 BUT, as soon you enable this GPO on a Windows 10 1607 client, you cannot open the store anymore, if you haven’t configured to connect the store with your business account yet. The store will CRASH / closing automatically (so you cannot add your account )! Since a few days a Store APP update is available – I received it on the 23rd of January 2017 – and will be installed automatically, if you haven’t disabled the auto update of APPs! AND, with the new store version 11610.1001.25.0, the problem is solved and the store is not crashing anymore. Today, Microsoft announced, that they will shutdown the service Azure RemoteApp. New purchases will end as of October 1st 2016! Existing customers will have support until the end of August 2017. Here is the official statement: Link. Microsoft will set on the strong partnership with Citrix and a new product “XenApp express”, which is actually under development and should be available early 2017. A few weeks ago, Microsoft published a new tool – named “LAPS” – which is available for free. You will have the possibility to manage your local admin passwords for all your clients without special scripting. Since it’s not possible anymore to change the password through Group Policy Preferences, this is a nice way to do it. You can schedule through GPO, when the password for the local administrator will be changed (how long it is valid…) and how complex it has to be. Every client has a different password, which is written back to the Active Directory. What’s needed and how you can configure it is written here. When installing by MSI, you’ll find the following failure in the Event Viewer under application: 1722 – There is a problem with this Windows Installer package. A program run as part of the setup did not finish as expected. With a little modification in the MSI file (of course in the MST) and a file copy before deployment it will run.